On February the 3rd I took the train to Amsterdam. I was in the Netherlands before, but Amsterdam is something on its own and a city I'd really like to explore a bit. Unfortunately I wasn't able to see much of it during my time there: the Casual Connect Europe was calling! But not really. 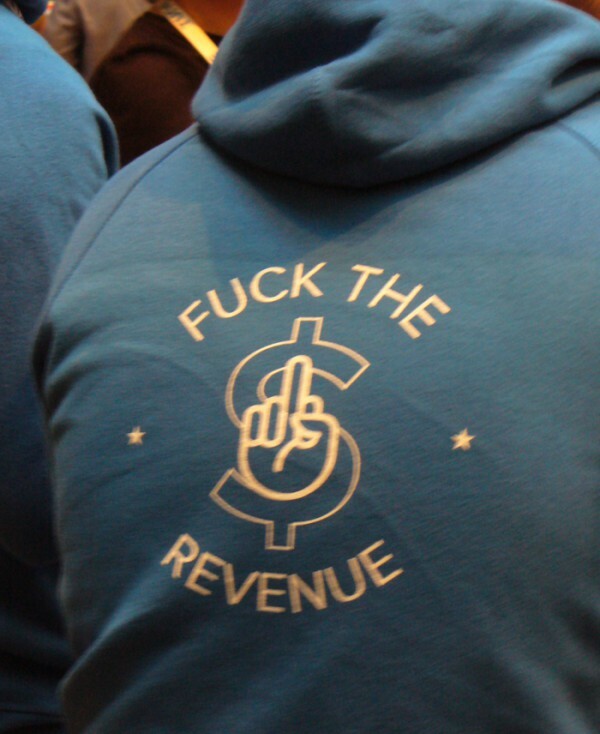 The Casual Connect - to be honest - is a convention about making money by utilizing browser and mobile games, free2play, in-game advertizing and so on. Not something where our game TRI would fit in, at first glance. 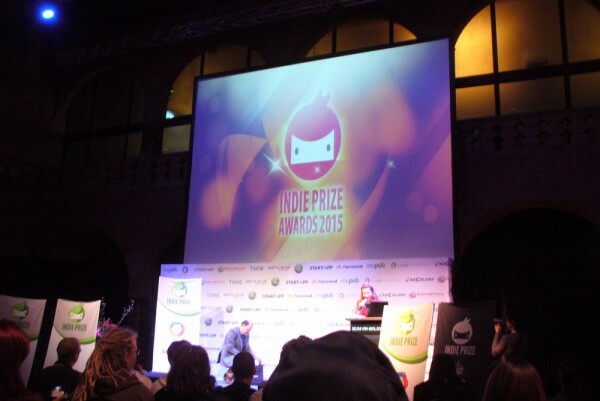 But here's the thing: the Indie Prize, which according to its Twitter is "a scholarship program for up and coming indie development teams who show promise to be future leaders in the games industry", also is an integral part of the Casual Connect. They probably included it so they would have actual game developers present and not only the publishers and SDK developers. 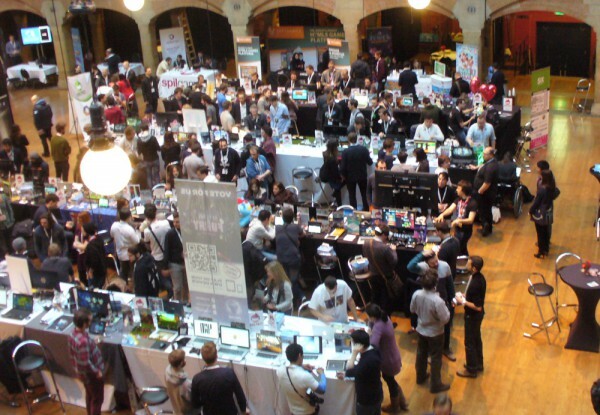 Therefore five large rows of tables were set up and housed around 100 indies and their games. And PC games were allowed! 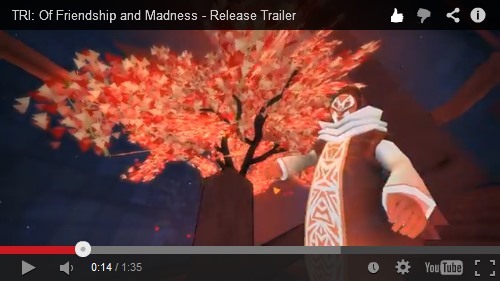 Anyway, it was really helpful to have the trailer, otherwise it would not be clear what TRI is about if you just looked at the screen for a few seconds. Some kind of eye catcher is always a plus! (Although some people pushed it a bit too hard with posters 2 meters high, just so you'd vote for their game ...) And for the first time our flyers were really nice - as they were not only printed with the correct colors, but also printed in time, so I actually had them with me. Yay! 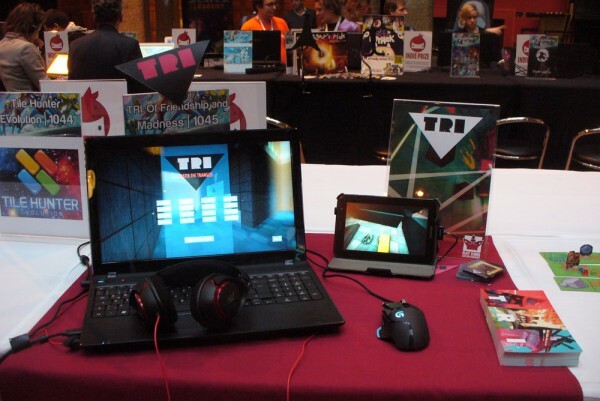 The other half of my table was reserved for Constantin Graf aka RebusMind and his puzzle tile swapper with RPG elements SwapQuest, presented on two tablet computers. I played it for a long time when there was nothing to do, and I must say I really like it. The option to customize your character and the appealing graphics made me dig it a lot, and when Constantin will finally release it (soon) on Android I'm going to buy it for sure. Game Loop Lab's Blockadillo was next to Constantin, another 2D mobile game - this one has nice graphics, which for a change are handdrawn AND not pixel art! I already played it a bit on my own device as it is free2play, so I can only recommend to try it out. Last in the row of 'German games' was Schein, another PC game actually made by the Austria-based Zeppelin Studio. 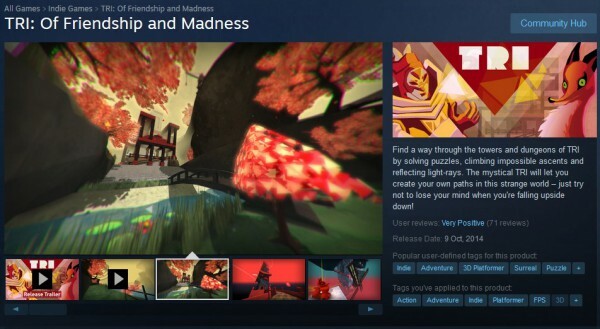 It's a unique, well done and very hard puzzle platformer which I luckily already have on Steam. 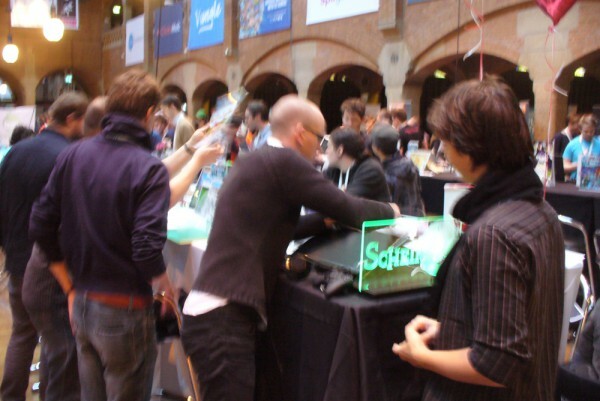 It became apparent pretty fast that the organizers of the Indie Prize placed developers together according their country of origin, which was cool because this way one could compare games from each country and culture directly. So when I found the time to actually walk around a bit and have a look at the other projects, it was like wandering over a tiny globe. ;) Unfortunately I didn't have that much time or energy to play a lot of games. I remember liking Find the line a lot, and I wonder why it wasn't even nominated at the awards. My only gripe with the ceremony is the fact that it began at noon on Friday, a bit of a strange time. I missed a warm lunch this way! Of course, that's not really something to complain about, as free lunch packages were handed out by the friendly volunteers and the buffet was free too. Overall this was the least expensive convention I went to, ever - even the accommodations were paid for: the StayOkay hostel was around 15 minutes of bus ride away, but it was comfortable and the breakfast was included. Interesting enough I was the only one in my 6-bed-dorm; I talked to some people about their lodging, and no one knew that there was some kind of Indie Hostel! 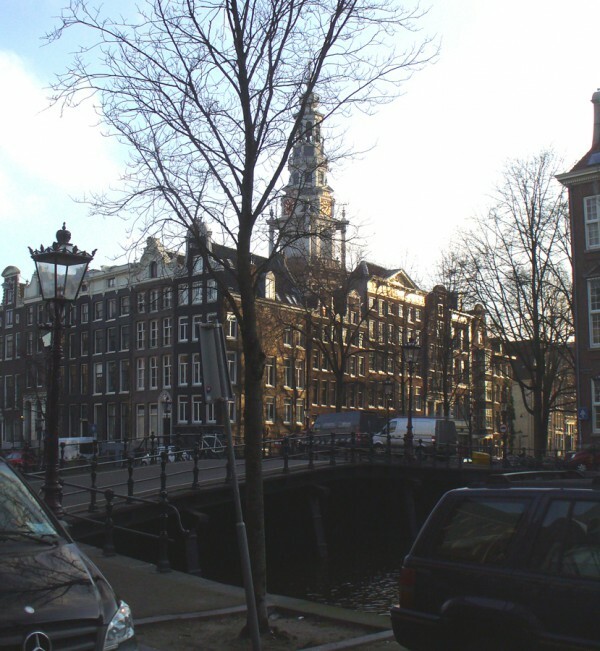 As I had to take the bus or the tram each day I had the opportunity to have a better look at Amsterdam. It really is a captivating city, with the grachten and the cool architecture. I will definitely revisit it some time, so hopefully I can actually see it by daylight then. ;) At least I had the change to explore some of the party locations, as the Casual Connect hosted a get-together each evening. For example, Constantin and I played a local multiplayer game and danced a bit at the Official Party "NEON" in the Club AIR. My personal highlight - besides the nominations - was the fact that I had the chance to briefly speak to Peter Molyneux - I just love his game Dungeon Keeper. He was there to give a talk about inspirations and having new ideas. It was kind of interesting, as he gave some insights into Godus, 22cans' team structure and how to engage players. All this not very deeply, of course. I hope the Unity team recorded the talk, as he expressed "I love Unity!" loud and clear on stage. 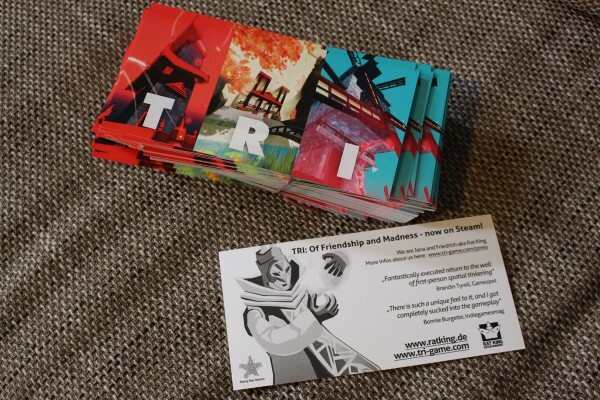 In the end I managed to give Mr. Molyneux a TRI flyer, which I am sure he framed and hung above his bed. I only found the motivation to visit one additional lecture; it was about workflow and automation for when you have lots of content and a small team. The talk was held by Alexander Birke from Rumpus Animation and was pretty complete, as everything was explained on what you should do in order to keep a general view over your project. There were a lot of other talks and presentations, always four at the same time. 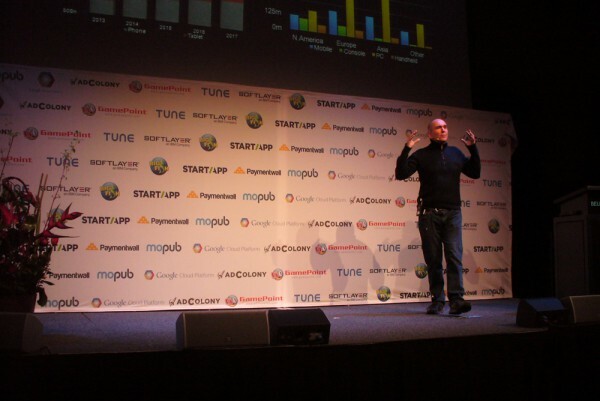 Fortunately most of them were about user acquisition and advertising and so on; not really interesting to me - thus I had more time to showcase TRI. Although that was a bit in vain, as there wasn't much press at the Casual Connect (or it hid really well from me). But meeting other indie developers along with the volunteers (who guarded the tables and helped where necessary), and talking to them was the best part of the whole show anyway. At the last day I got a bit sick, which is why I left right after the end. Normally I only catch the Fresher's Flu when I get home, so this was a new thing for me. Nonetheless the Casual Connect was nice and a positive surprise to me thanks to the Indie Prize organizers. A big shout-out to them! And next time I might even be more open to the whole business thing! 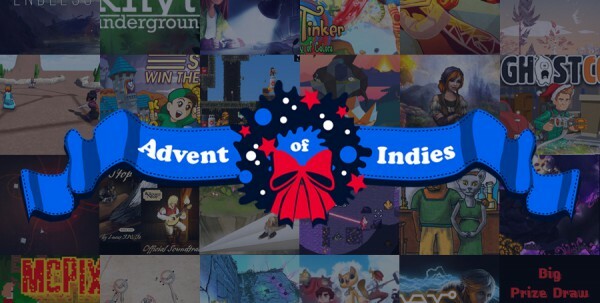 But let's talk about something else first: the Advent of Indies 2014. In our opinion it was a cool calendar this time, with great indies and a lot of people participating in the prize draws, which was nice. On the other side I am not so sure we will do it again (in this form) - too many people sent their material much too late. Especially the Christmas greetings, which we thought were the most important and interesting aspect this year, as they made the event personal and actually caring about the game developers and the community. One of the indies didn't answer messages anymore and we had to find a replacement quickly, which resulted in Bumblebee presenting their game Ghost Control Inc. on the 12th day. Thanks for helping out, Tassilo! And some days before the final 24th, everybody who came after was so late with their stuff that Robert Podgorski from BlackMoon Design offered his help and even sent material (for The Few) ready to release within an hour. Thanks a lot! In the end everything worked out somehow and I didn't have to replace another indie, but it was nerve-wracking, to be honest. This is why the next Advent of Indie might change a bit, at least for the participating developers. Right now a small bit of money is dribbling in every month, but this will change soon enough. There's too much games out there nowadays, all craving for attention. Last I heard 300 games got released on the iOS AppStore in 2014 EACH DAY. And Steam isn't that much better with 15 to 20 new games daily, especially if you consider the price difference. I won't blame the market only - of course we also failed to generate a hype for the game, and even after over two years of development it still could use some polish. A real, thorough analysis is probably only possible after six or more months. Yet we are thankful that we were able to work on such a grand project, and we learned a lot over the development time! Oh, and did I really imply that we worked for around three years on TRI? 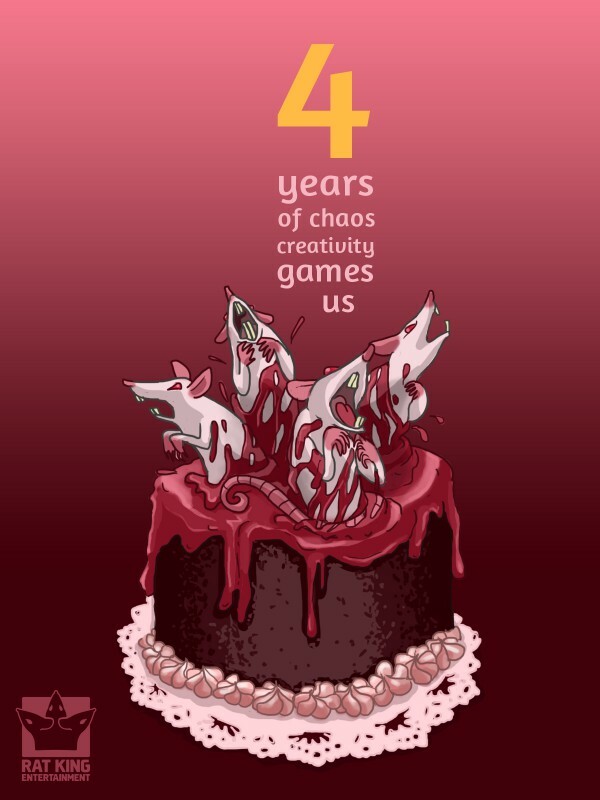 Well, this must mean that the Rat King became four years old two weeks ago! Happy birthday! Yes. These are rats bursting out of a cake. Why not! Our next project is still not planned to the fullest. Some important points are clear, but that's about it - we want it to be smaller than TRI, with less development time. We want to be on more platforms this time, especially mobile, not only desktop, which means it should support touch controls out of the box, ideally gamepad controls too. And it should be easier to handle and get it, so there should be "fun" right from the start. TL;DR: Happy new year! Advent of Indies ended and was exhausting but cool. We wish TRI would be more popular. Our next project is on the way.